Sarah Jessica Parker and Matthew Broderick are now proud parents to twin girls, thanks to a surrogate who gave birth to them on Monday. 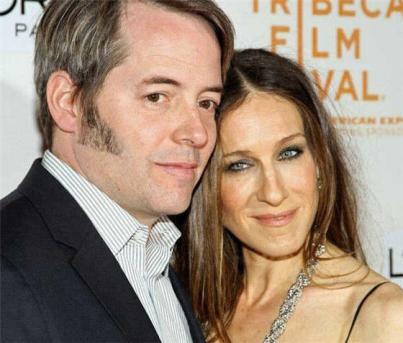 A representative for Sarah Jessica Parker and her husband Matthew Broderick confirms that the celebrity pair has welcomed the arrival of their twin baby girls, who were conceived through a surrogate mother. “Sarah Jessica Parker and Matthew Broderick are delighted to announce the healthy arrival of their two daughters at 3:58 P.M. on June 22 in Ohio,” the representative says in a statement. The woman Sarah Jessica Parker and Matthew Broderick have to thank for their two new bundles of joy is 26-year-old Michelle Ross of Ohio. According to the UK’s Daily Mail (credible, I know..) Michelle is a 26-year-old ex-bartender who has tattoos, is bisexual and has had a bit of a roller coaster past. Sounds like a heathen already! Heh. She had a son, Brayden, before divorcing her husband in 2006, and, according to some, she rarely sees her child. Her ex has custody. “Michelle has kids for other people, but she hardly ever sees her own son,” Joseph Erker told Star magazine. Michelle was pregnant before Brayden but the lost the baby after she developed Guillain-Barre Syndrome, a disorder that left her temporarily paralyzed.